A professional network is an essential part of success in nearly all career paths. Even Walter White in Breaking Bad needed a professional network to get his job done! Yet, for many young scientists I meet, networking falls solidly into the category of “things I know I should be doing, but really dread.” The source of much of this dread is the sense that networking feels “icky” because the person you are trying to network with might think you only want to meet them in order to get something from them. Next month, I’ll tackle this issue and discuss how to network in a sincere way – I promise, it’s easier than you think! But, that is the how and when. First, I want to dive into the questions of why and who. 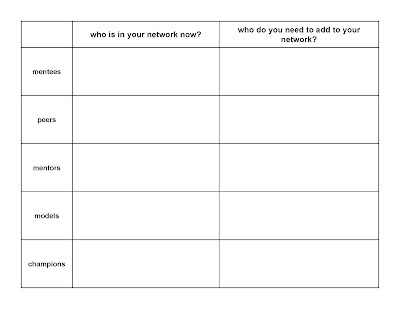 Who needs to be in your network? Lots of people. Diverse types of people. A common misconception about networking is that it is most important early in your career, then gradually becomes less important. I firmly believe the opposite. As you transition from undergrad to grad student to postdoc to job (or any iteration of this career path), the scope of your responsibilities increases. That means that you need more types of information and advice to be successful. And, as your responsibility for initiation and dissemination of your research or teaching grows, you will probably need more access to opportunities. The diversity of your network is also critical. If your network is comprised of people all having similar backgrounds and professional roles, then you are limited to a relatively narrow set of knowledge, advice, and opportunities. However, if you cultivate a diverse network of people from different backgrounds and in different careers, you can access knowledge and advice in diverse topics and from diverse perspectives, and the scope of your opportunities increases. Moreover, the people in your network can provide you with access to the people in their networks, multiplying the power of this diversity. Mentees: People who you teach, advise, or serve as a role model for. Peers: People at a similar career stage to you. Note that your peers may be in the same field as you or may be in very different career paths. Mentors: People who seek to understand your situation and provide knowledge, insight, and advice or offer a perspective you might not see. Models: People who are where you want to be or face similar barriers to what you face. Champions: People who have connections to things you need or have power to do things that you want. Everyone you know can fit somewhere within this model, and often a person may change roles over time or serve in many roles at once. My brother is a financial planner, and as a peer, he provides me with a vocabulary that helps me better manage the finances of my lab. Many of my non-science friends serve as mentors in areas such as writing or leadership. Some of the people who were models for me as a grad student or postdoc are now my peers or mentors. Mentors often act as champions when the opportunity arises. The main point being: the more people you know, the more you can access what you need to be successful in your career. Even more fun, the more people you know, the more you can help others as they progress in their careers! Take a moment and think about who is in your network. 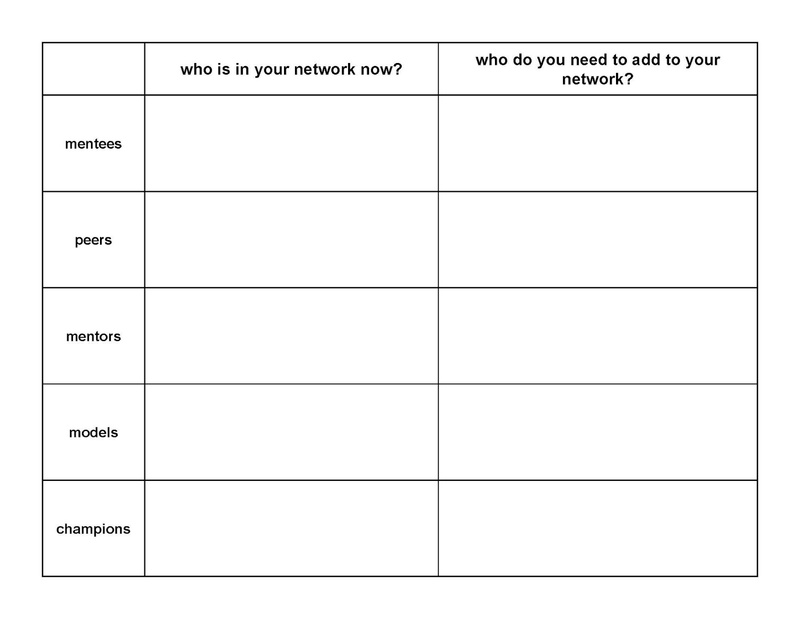 Who do you want to add to your network? I’ve created this grid to help you out. As you fill this in, it’s okay to list specific people. But, it’s even more useful to list types of people, as this will help clarify the types of people you want to have in your network but don’t yet. Hopefully this definition of your network makes “networking” feel less dreadful or intimidating. Stay tuned for part two of this series as I’ll unpack this further, and then in part three I’ll dive into some specific tips for expanding and maintaining your professional network.